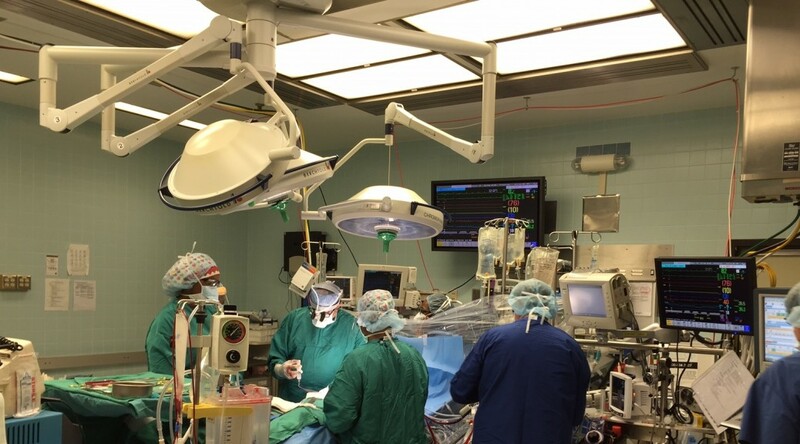 AUGUSTA, Ga. – Georgia Regents Medical Center has purchased a 30-percent ownership in the Surgery Center of Columbia County. This 21,000-square-foot outpatient day surgery facility in Evans opened in 2007 as a joint venture between University Health Resources, Inc., the for-profit corporation of University Health Care System, and more than a dozen board-certified physicians and podiatrists. Recent advancements in technology, particularly in minimally invasive surgery, have increased the demand for outpatient surgical care, because it can benefit patients through shorter operations, fewer complications and quicker recoveries, according to industry reports. Located on University’s longstanding Evans Campus on North Belair Road, the Joint Commission-accredited Surgery Center of Columbia County offers a broad array of outpatient procedures performed by highly skilled and compassionate physicians and staff in four spacious surgical suites using state-of-the-art technology. Some of the surgical services offered at the center include general, colorectal, ENT, and GI surgeries. University Health Care System is anchored by the 581-bed, not-for-profit University Hospital, founded in 1818. The main campus has expanded to include the Heart & Vascular Institute, an Outpatient Center and office buildings that house more than 600 private practice and employed physicians, and various treatment centers. University has the largest primary care and prompt care network in the region and also includes University Hospital McDuffie in Thomson, Ga., as well as numerous medical campuses in two states, Brandon Wilde Continuing Care Retirement Community and two extended care facilities. University is the only hospital in the region to have earned Magnet designation for nursing excellence, and has been named the National Research Corporation Consumer Choice Award winner for overall quality and image every year since 1999. Georgia Regents Medical Center is a not-for-profit providing clinical operations as a cooperative organization for Georgia Regents University. The 478-bed Medical Center includes a Critical Care Center, housing the region’s only Level I trauma center ; the 154-bed Children’s Hospital of Georgia, providing the highest level of pediatric critical care and neonatal intensive care; and more than 80 outpatient clinics that provide primary and specialty care throughout the state. Georgia Regents physicians are consistently ranked among the nation’s best in both America’s Top Doctors® and Best Doctors in America.® Additionally, Children’s Hospital of Georgia was recently ranked as the nation’s highest performing children’s hospital in quality and safety by the University HealthSystem Consortium.